Innovative patented technology direct fermentation of milk by probiotic cultures. Probiotic in liquid concentrated form. 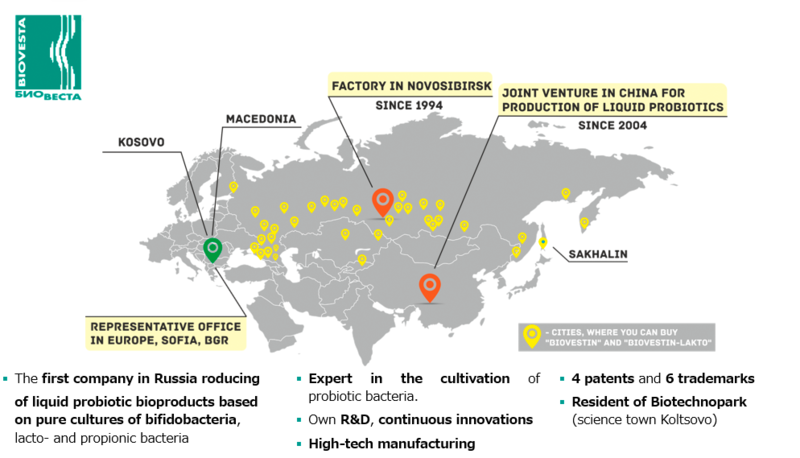 Only living, active (not freeze-dried) probiotic bacteria. We use only pharmacopoeial strains of bifidus and lactobacilli - safe, well-studied. We do not use genetically modified strains. The number of beneficial bacteria is 1000 times greater than in dry probiotics. 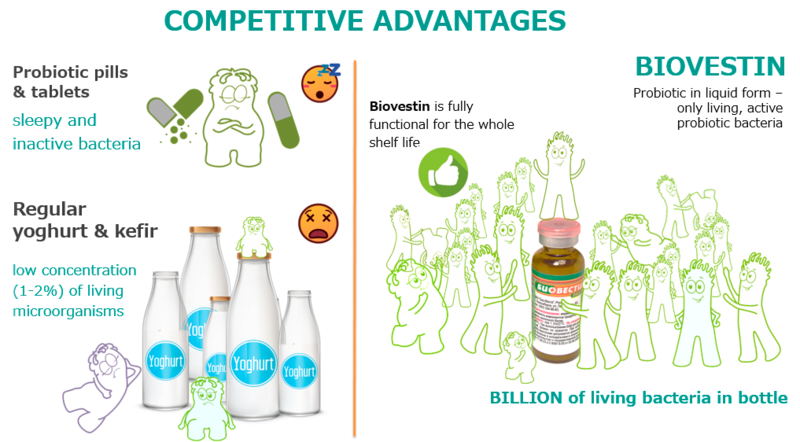 Each bottle contains 10 billion useful bacteria in an active live form. Biovestines are living foods. They do not contain preservatives and are stored in the refrigerator for only two or three months. Dry encapsulated probiotics need from 6 to 20 hours for "revitalization".  Bacteria from our Biovestins do not require activation. They are already alive, active and ready to provide benefit, they start working immediately after getting into the human organism. For example, this is critically important for patients with frequent stool (4-6 times a day). Biovestins contain probiotic + prebiotic + metabolites. Particularly important is the presence in the Biovestines of metabolites - the products of vital activity of beneficial bacteria. 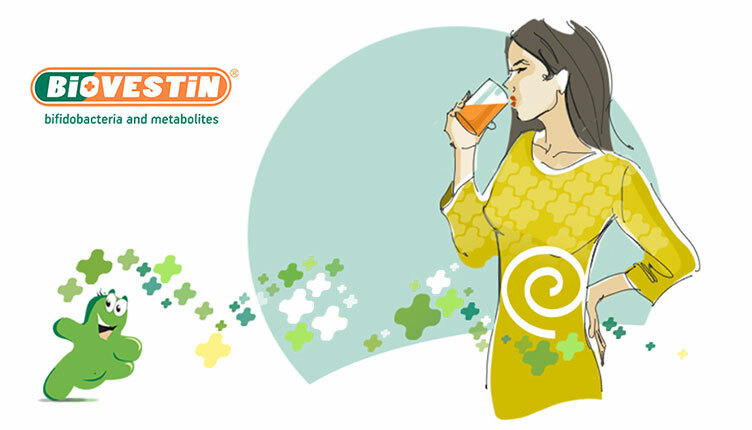 Metabolites improve motor activity of the intestine, local immunity and are the precursors of many hormones and enzymes. Antibiotics and other potent drugs depress and kill human microflora. 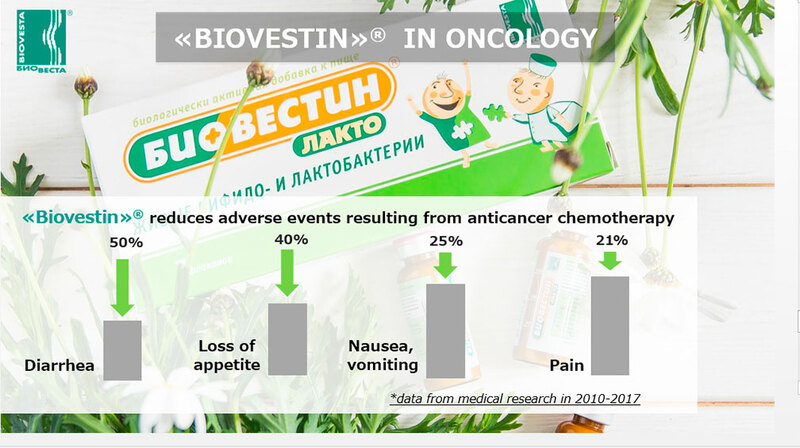 Biovestin® restores the balance of good and bad bacteria in the intestines and helps to speed up the recovery. in pregnant women. Biovestin® intake is an excellent preparation for the birth of a healthy child. constipation, gasses and bubbling in the abdomen. 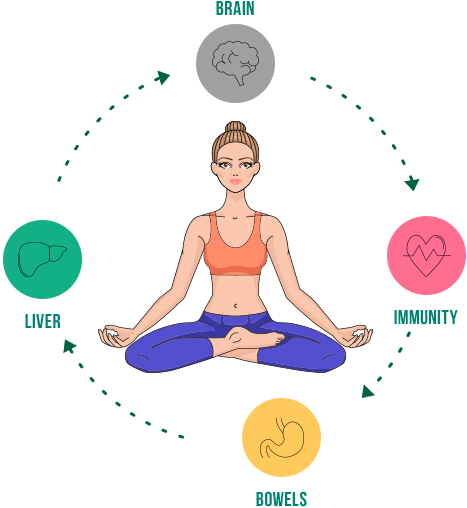 normalizes the immune system, improves digestion and well-being of human. Ease side effects of Cancer Treatment. Very important! 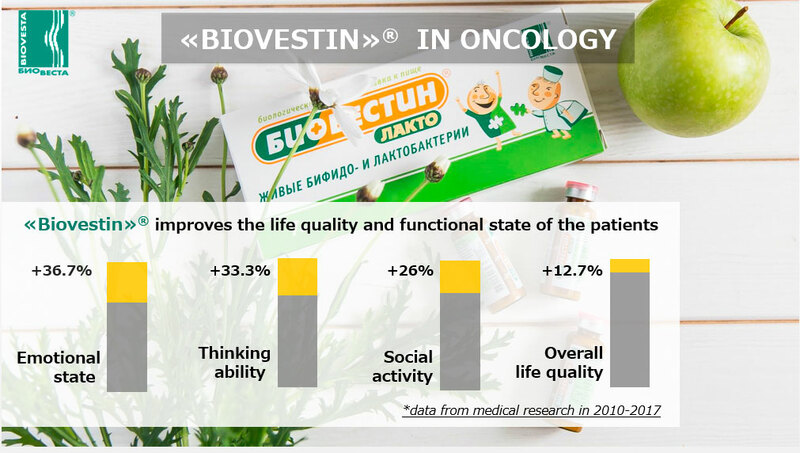 Biovestin® is particularly effective for restoring the well-being and quality of life of cancer patients who undergo polychemotherapy or radiotherapy. This has been proven for hundreds of patients during 20 years. European doctors successfully use «Biovestin»® for rehabilitation of patients since 2016.